As we iterate through the TDD process, we’ll build up a large suite of tests. When writing so many tests, it is easy to lose focus of the scope and the purpose of each test. Up to this point in our Tic-Tac-Toe development, we have been writing Unit Tests. A Unit Test tests 1 specific isolated bit of functionality, on 1 component, taking care to eliminate all external dependencies of the code being tested. External dependencies are replaced with hard-coded stand-ins (AKA mocking) to simulate different scenarios. How would we unit test this functionality? Once we write the test, we see the problem – there is no way to control what Random gives us when this line of code executes. Random is an external dependency that needs to be mocked in order to isolate the code being tested. (We’ll get to how to solve this problem in the next installment). Unit tests are the nano-level of testing. Unit tests cover every minutiae of the code. When you widen the scope, you get Integration Tests: tests which cover a specific functionality that spans across different components or external dependencies.. I like to decorate or denote Integration tests so that I can decide which tests to run. Integration tests give us a feel for how multiple components work together. Finally we have End-to-End Tests: tests which execute an entire vertical slice of the codebase and verify the big-picture functionality. 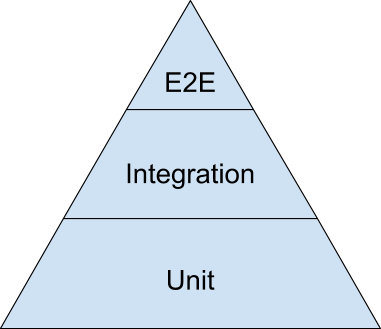 E2E Tests often align with high-level feature requirements. For Tic-Tac-Toe, a high-level requirement would be something like, “Can play a game to completion where X wins” – and this would be verified with an End-to-End test. var expectedBoard = new char? With End-to-End tests, we can have confidence that a feature is working as designed. There’s not much need to run through every possible scenario with these tests, because that should have been covered by the Unit Tests. When you write all these tests, you will build up a comprehensive test suite that covers small, medium, and high-level features. This will give you confidence in your code. By thinking through all the scenarios, you will have a better and clearer understanding of the requirements and the design.